Busamed Bram Fischer International Airport Hospital is a newly built Private Hospital strategically positioned in Bloemfontein and is easily accessible from the N8. We are located next to the Bram Fischer International Airport. The staff at Busamed Bram Fischer International Airport Hospital strive to make your stay as pleasant as possible. Better diagnosis, advanced surgical procedures, and improved patient outcomes. Our advanced technology plays a significant role in improving healthcare. The Busamed Bram Fischer International Airport Private Hospital is equipped with the most modern equipment – aimed at the most favourable outcomes and best possible experience for our patients and their families. Staff and medical professionals at Busamed Bram Fischer International Airport Private Hospital strive to provide an excellent service to both patients and their families. The facility makes provision for all patient needs. Busamed Bram Fischer International Airport Private Hospital was designed with the patients’ needs and comfort in mind. The staff and the resident specialists are passionate about patient-centred care, and prioritise their well-being in all decision-making. Busamed Bram Fischer International Airport Private Hospital provides a full spectrum of medical, surgical and related services to meet the surgical needs of Bloemfontein communities. 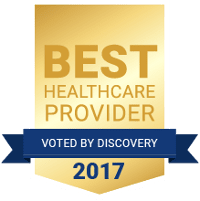 Busamed strives to provide the best care to every patient, every day. Patient stories are the story of our hospital: they tell that story best.